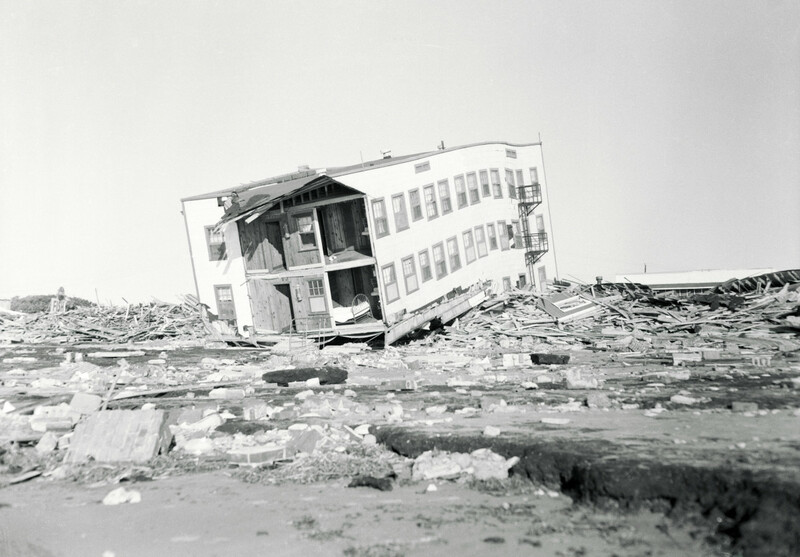 Fortunately most vacationers had left by the time Hurricane Hazel struck, but multiple buildings near Myrtle Beach were destroyed or damaged. 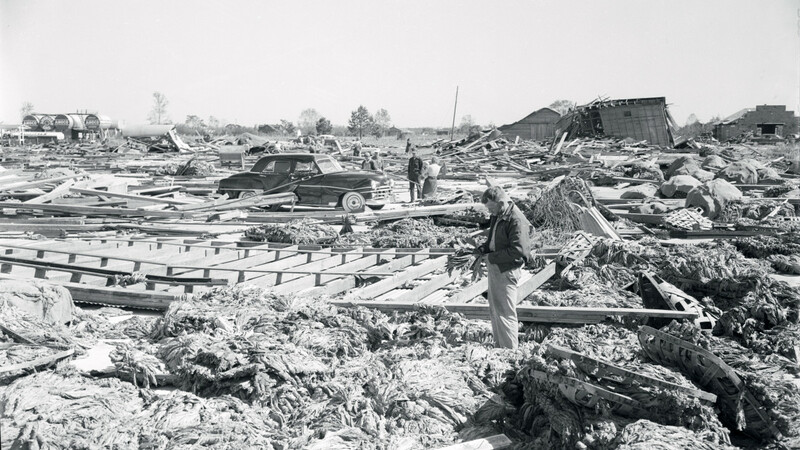 The aftermath of Hurricane Hazel in North Carolina, 1954. A Category 4 storm that barreled into the Carolinas during the hurricane season of 1954 left a path of destruction that would eventually pave the way for the development of Myrtle Beach into a major tourist destination. 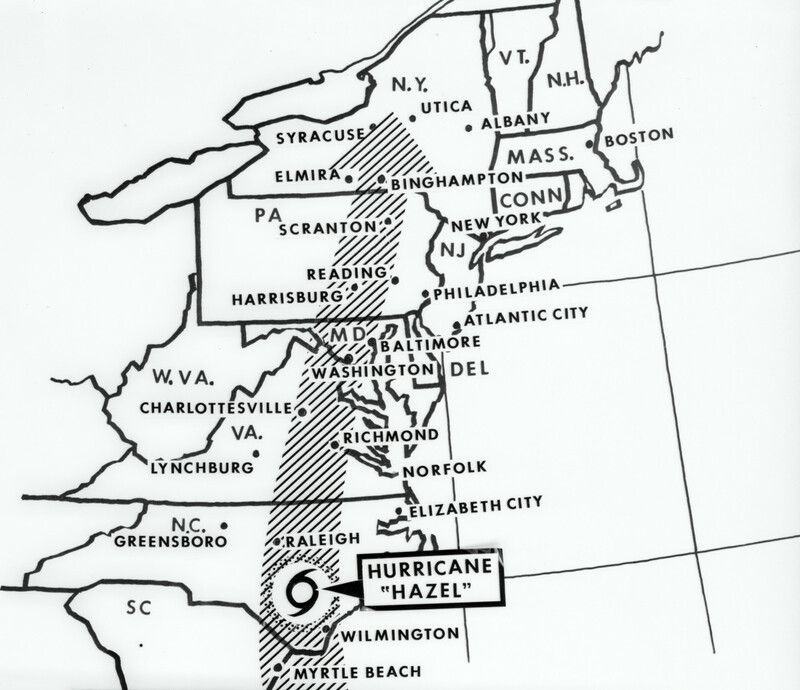 As the first (and so far) only recorded Category 4 storm to strike North Carolina, Hurricane Hazel also remains prominent in the record books as one of the region’s worst hurricanes in history. “For an entire generation here in our state, Hazel has always been the benchmark storm,” says Jay Barnes, a hurricane historian who has written about storms in North Carolina, where he lives. Similar to the projected path for Hurricane Florence, another Category 4 storm targeting the East Coast, Hazel went through the Carolinas and into central Virginia. But beyond that, there are some major differences between Hazel and what meteorologists expect from Florence. While Florence originated on the west coast of Africa, Hazel came up from the Caribbean and moved much more quickly. 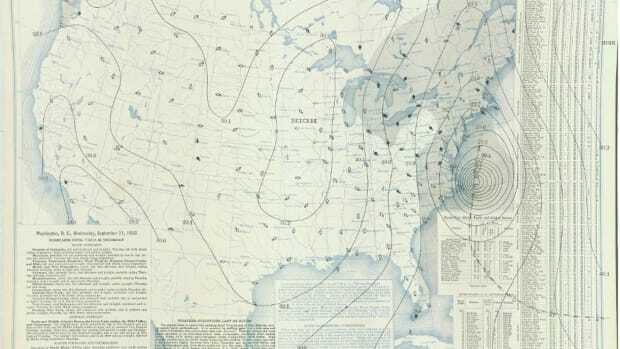 Hurricane Hazel plowed into the U.S. mainland near Myrtle Beach, S.C. on October 15th and left a trail of damage on its way north towards heavily populated cities of the Eastern seaboard. Even though it moved fairly quickly, Hazel did a lot of damage. “The storm surge from Hazel was the largest ever in North Carolina, with an 18-foot rise in sea level at Calabash,” Barnes says. 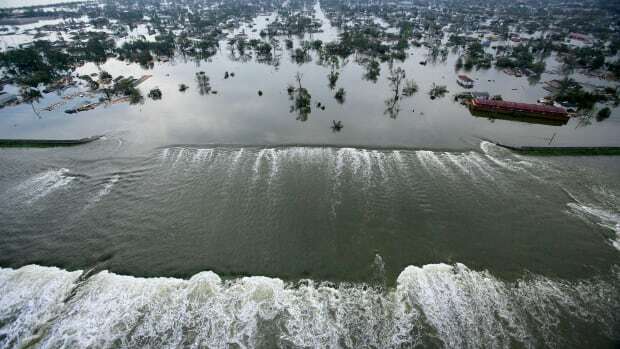 It destroyed 15,000 homes and damaged 39,000 others in the state, according to the National Weather Service. Somewhat luckily, Hazel hit the Carolinas’ popular beach destinations in October, when most vacationers weren’t there. At the time, there weren’t many year-round residents living in those beach towns either, which meant that there weren’t a lot of people in the storm’s path. Hazel killed 19 people in North Carolina, compared to the estimated 400 to 1,000 people it killed in Haiti. South Carolina’s Myrtle Beach successfully evacuated its beachfront before the storm hit. And it was a good thing, too: “Almost every structure east of Ocean Boulevard in Myrtle Beach was destroyed or damaged,” reported South Carolina’s The State. The damage done at Myrtle Beach by Hurricane Hazel. Most of the Myrtle Beach buildings Hazel destroyed were small beach shacks, motels and family businesses. After the destruction, many families who owned property in Myrtle Beach sold it to real estate developers who then built bigger motels, hotels and condos over the next several decades, according to South Carolina’s The Post and Courier. That shift led to a surge in development that now accommodates Myrtle Beach as a popular tourist destination. 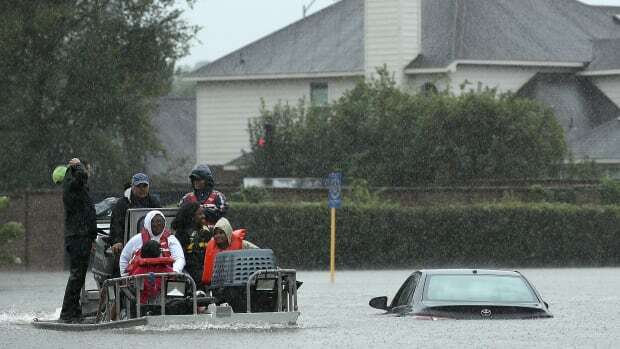 Today, there are thousands more people living in the Carolinas’ coastal areas and, in fact, many more people now live in coastal areas, period, which is why the price of hurricane disasters has skyrocketed over time. One of the most positive developments since Hazel is that the National Hurricane Center is able to predict storms well in advance so that people can be notified and evacuate in time (the deadliest recorded hurricane in U.S. history killed 6,000 to 12,000 people because of inaccurate predictions). 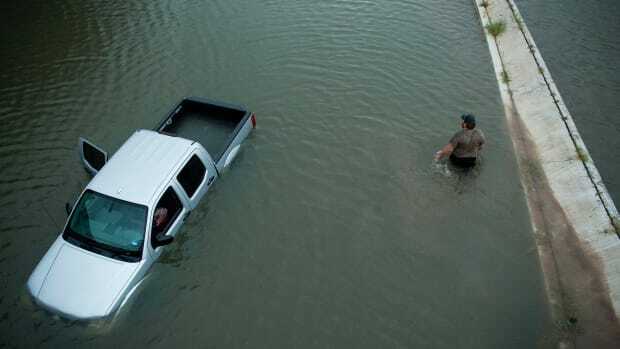 This doesn’t mean government officials always respond efficiently to this information—Hurricane Katrina and Hurricane Maria come to mind—but when the information is used effectively, it has the power to save lives. As climate change increases the severity of hurricanes, experts point out that effective response becomes all the more critical.